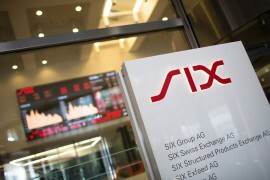 Swiss post-trade specialist SIX Securities Services is planning to establish a central trade repository for derivatives transactions in Switzerland, using the London Stock Exchange’s UnaVista platform. The platform is being built to allow Swiss customers to report under the Swiss Financial Market Infrastructure Act, which is currently in parliamentary consultation. Switzerland is currently in the process of implementing reforms to its securities markets, based on the G20 agreement in Pittsburgh in 2009, which specified that OTC derivatives should be centrally reported and cleared wherever possible. SIX’s plan is to upload derivatives transactions to the SIX trade repository, recording the details of the transactions. The information will then be passed on to the Swiss regulator, as well as aggregated and made available to the public in an anonymised form. SIX will operate and host the new repository itself, and the company is emphasising the focus on regulatory compliance. The Swiss FMIA legislation is expected to take effect in 2016. SIX has been broadly supportive of the incoming FMIA rules. However, in its response to the consultation in October, the company did express some reservations about the way the reforms were being handled. In particular, SIX pointed out that since ‘organised trading platforms’ are not recognised by the draft legislation in Switzerland as financial market infrastructure, operators of such platforms are only subject to limited duties with regard to organisation and trading transparency. SIX objects to this on the basis that it “does not create a level playing field for the trading centres and may cause unfair competition”. Switzerland-based WIR Bank has launched a new payment card for domestic SMEs, with tech provided by SIX Payment Services. It combines the existing functions of the proprietary WIRcard and internationally accepted Visa’s V PAY debit card. BNP Paribas and SIX target Belgian payments "monopoly"
BNP Paribas and SIX Payment Services are planning to target merchants in Belgium with a new payments partnership, which they say will offer competition on payment terminals and acquiring services for the first time. SIX Payment Services brings to market PayLife 0100, Austria’s first mobile credit card.